Hello. I was searching this and other forums, but I still cant find answer to my problem. I bought an 96 XJ12. On my first trip to Viena I got stuck in traffic jam. Temperature was slovly raising, unfortunately it was impossible to stop the car. I had to repeately shut the engine down and start it to move to nearest available parking space. At the end I ended up with boiling water. I realised, that the electric fan in front of the radiator wasnt working at all (before the trip it was OK). So i refilled water and returned back home (on the open road the temperature gage showed normal temperature). Back at home we changed both thermostats, elcetric fan relay, temperature sensors and coolant. At first everything seemed OK. But then I took the car to a test drive, when immediately the temperature gage started raising to aprox 3/4 of hot, then returned back. We chcecked it, and the problem seemed to be air bubble near sensor. So I opened expansion tank, put the car on the hill, nose up, and started the engine and hoping to release trapped air. On the second test drive everything was OK, temperature normal, so I took the cars to the hills... It was OK, till I shut the car down. After three minutes I started it again, but temperature was above normal and then slowly returned back to N. When we opened expansion tank, water was boiling (allthrought temperature gage was showing normal temperature)... I realy dont know, what to do. My mechanic thiks, that the problem is head gasket, but there is no water in oil, no black smoke, hoses from radiator arent hard. Any ideas? Hello, sorry for the late response. Have any developments been made? My 96 XJ12 runs a bit hot only on the hottest summer days. Stop and go traffic on days like this makes me nervous. Mine hasn't ever overheated, however. My electric fans often run after the key is switched off, usually on low speed, but sometimes on high, which you will certainly hear; They are loud! I've noticed the temperature rising after turning the engine off more than a few times. These are big, hot engines, and mine has the catalytic converters on the down pipes, so there is a LOT of heat under the hood that tends to warm the engine even after its turned off. You can feel the heat pouring out from the wheel wells after a drive on a hot day. Have you tried a combustion gas test of the cooling system? It's also called a block test. The tester "smells" for combustion gasses in the coolant. Mine has ALWAYS made bubbling noises in the coolant expansion tank immediately after turning the engine off. Not sure why. I'm not losing any significant amount. If you replaced the thermostats, make sure you use OE Jaguar ones. The term "meets or exceeds OE" doesn't mean you get the same quality. Also, some suggest drilling a small hole in the thermostats, and orienting it up when installing them allows a passage for air to escape. These are supposed to be self-bleeding cooling systems, but every bit helps. Skipper sorry late to the thread did you ever get your issue sorted? I'm curious as to your XJ12 is it a short wheel base or long? All 96's are long wheel base in North America but not sure over there? truth be known Jag V12 engine itself , engineering was not the best for an effiecent cooling of cylinder block and heads. 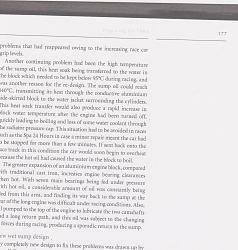 excerpt from TWR racing program. Never had an issue with over heating but I am never stuck in traffic. With only 75,000 people in town it's tough to get a traffic jam going. 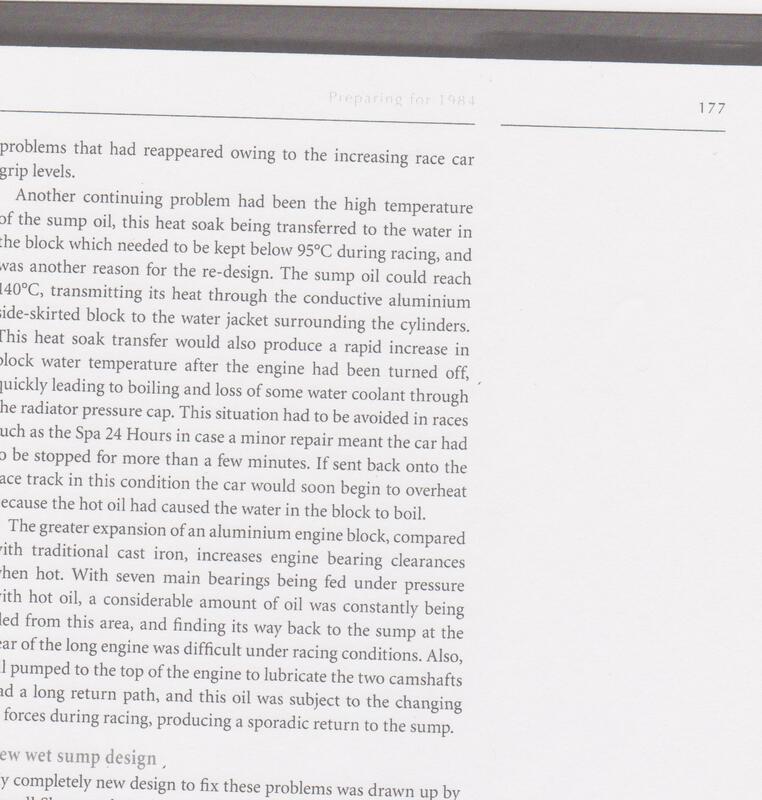 Its no secret that V12 cooling has always been an issue. But it seems like they got it as right as they could with the X305. I've never had a problem with overheating, even in the Arizona summer, with the a/c on, and in traffic. Soon after I got the car I replaced the radiator and all the hoses, and certainly that helped. I still always keep an eye out for the temp and the coolant low light. There is not much space between coolant loss and devastating overheating. With all the talk of cooling problems, I've never seen it in my car. Knock on burl walnut. Of course I am not racing the car, certainly that would bring a whole new set of considerations up. I'd say that the Jag V12 isn't a great choice for a race car! But Group 44 and TWR did have some success with the V12 in the XJS. Too bad Skipper gave up on the forums here. I suppose 3 weeks is too long to wait for a reply from us enthusiasts! I bet his car has given up too. Usually it is a lack of cooling system maintenance that ends up killing V12s.